Hideo Itami w/ Akira Tozawa VS Lince Dorado w/ Lucha House Party; no contest. 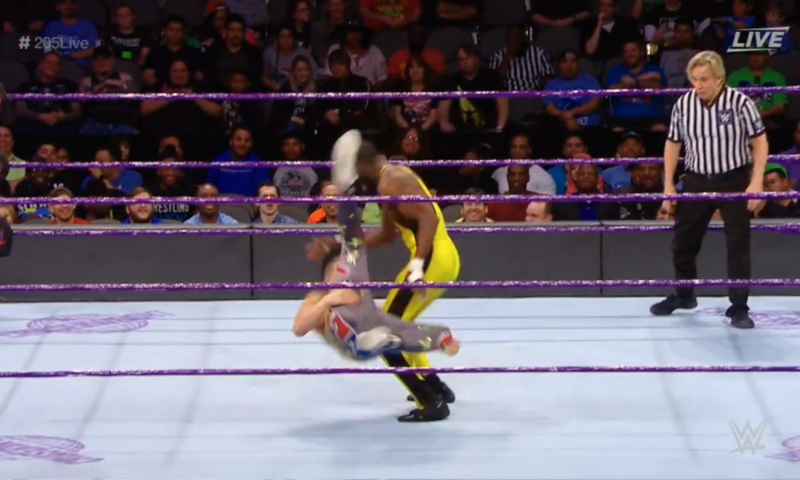 TJP VS Kenneth Johnson; TJP wins. 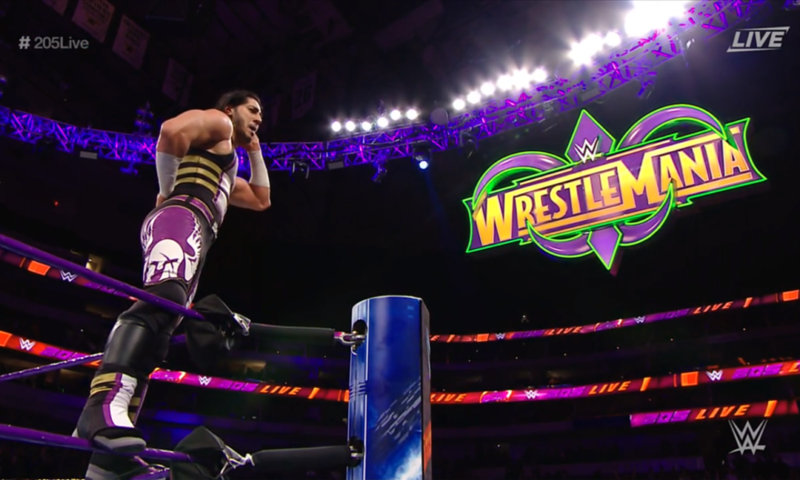 WWE Cruiserweight Championship Tournament Semifinal Match: Mustafa Ali VS Drew Gulak; Ali wins and faces Cedric Alexander for the WWE Cruiserweight Championship at Wrestlemania. The Cruiserweight Championship semifinals are halfway there! After a brutal battle of backbreaking proportions between the Carolina Kid and the Messiah of the Backbreaker, it was Cedric Alexander who came out the victor. Now he takes one more step towards the title he’s sought for so long. Tonight, the other semifinal match happens, between two storied rivals who have gone back and forth with fierce intensity and even personal animosity. Will Alexander be facing friend or foe come Wrestlemania? Hideo Itami w/ Akira Tozawa VS Lince Dorado w/ Lucha House Party! After last week’s tag match ended with a tense stand-off, 205 Live GM Drake Maverick felt the Golden Lynx and Innovator of the GTS should get things out 1v1. 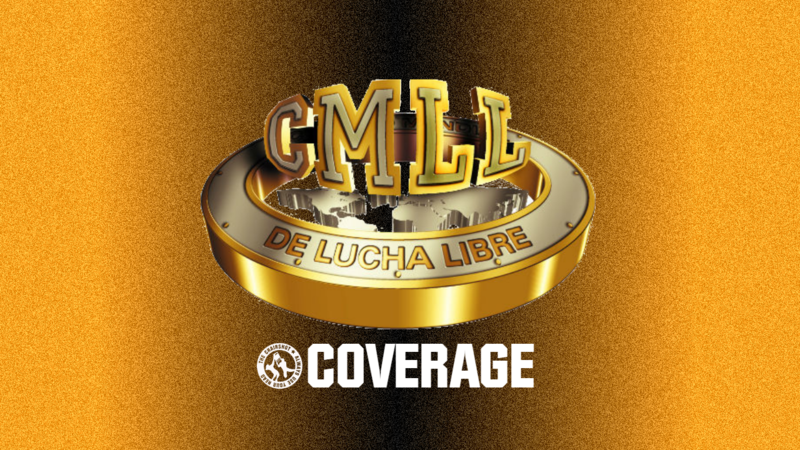 Will lucha libre or Japanese Strong Style get the win when it’s 1v1? The bell rings and the two approach into tying up. Lince puts Itami in a corner, and honors the break, but Itami doesn’t with that knee. Itami keeps on Lince with elbows and uppercuts, then more kicks before putting on a headlock. Lince works his way out of the hold but Itami brings him back in. Lince powers out this time, but Itami runs him over. Itami keeps moving to run Lince over again, and demands respect as things speed up. Lince throws Itami out, then fakes him out with the handspring. Lince taunts Itami while he regroups with Tozawa. The “Lucha! Lucha!” chant begins while Itami takes his time to return. Itami makes sure Lince stays back , but then he runs into a headlock takeover anyway. Itami works his way out of the hold, standing up to put Lince in a corner. He rams in shoulders, but Lince clubs back. Itami whips him corner to corner but Lince goes up and over and keeps moving to then slide under. They speed up again, Lince headscissors and dropkicks Itami out of the ring, to then suddenly slingshot corkscrew plancha! Down goes Itami, and Lince celebrates with Lucha House Party and the fans. The “Lucha! Lucha!” chants echo out again as Lince chops Itami, then puts him back in the corner. Lince takes aim and shoulders in to then slingshot headscissor Itami down. Another headlock takeover, and Lince holds Itami down again. Itami pulls on the mask, then rolls Lince, TWO. They stand up, Itami powers out, but Lince evades, only to run into the kitchen sink knee. Lince rolls to the apron, Itami boots him off! Itami follows him out to then ram him into the apron. They go back in the ring, and Itami stalks Lince as he toys with him. Itami dares Lince to do something, and slaps Lince across the face. So Lince slaps back, then unloads heavy hands and kicks. Lince whips but Itami reverses, only to run into Lince’s heel kick! Lince kicks and kicks, then springboard crossbodies! He chops and whips but Itami reverses, so Lince handsprings, only for Itami to follow and clobber him with a lariat on the rebound! Cover, TWO, and Itami grows frustrated. He drags Lince up, gives a strike fest, and with Lince in the corner, Itami runs into a SUPERKICK! Lince takes a moment to recover while Itami crawls away. More “Lucha! Lucha!” chants begin, Itami runs in but gets thrown out through the ropes. Lince forearms Itami off the apron, and Lucha House Party stays back as Tozawa comes over. Itami gets mad and shoves Gran Metalik, so Gran Metalik shoves Itami! The referee has no choice, this match is disqualified. But Lince doesn’t care, he gets in Itami’s face over this. This prompts Kalisto and Metalik to enter the ring, followed by Tozawa. Seems only Tozawa and Kalisto are keeping the peace. The fans want to “Let Them Fight!” but that’s not happening. Kalisto somehow keeps his two amigos back while Tozawa gets Itami out of the ring. Will there be yet another match stemming from this tag team tension? WWE and 205 Live take a look at Drew Gulak. 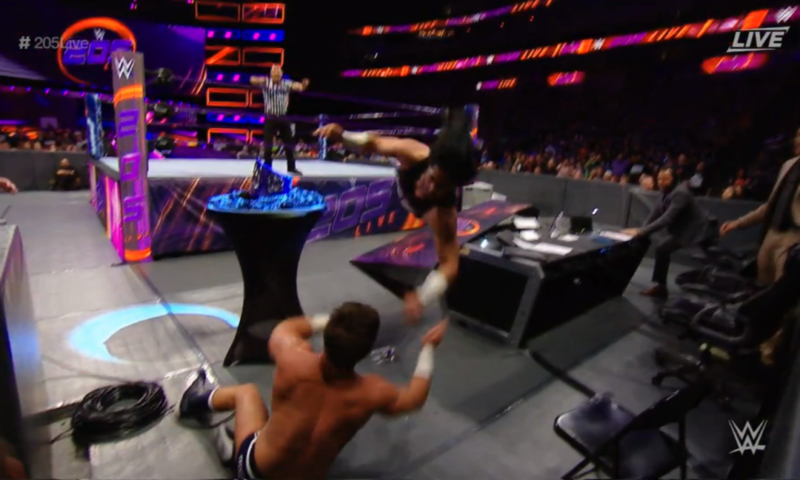 The Cruiserweight Crusader genuinely campaigns for a “better 205 Live” through #Drewtopia, but Drake Maverick called him out for going soft. To Maverick, Gulak went from a gritty grappler to a picket sign holding, PowerPoint preparing “goof”! Gulak doesn’t appreciate being called “a goof”, or not being taken seriously. He isn’t proving anyone wrong, just proving himself right. Being the champion means they’re “the one that everybody will look to, to set the example.” Gulak is the only one who can set an example. He vows not to lose but to reach that Cruiserweight title, and perhaps his new focus and aggression can do that. Gulak’s rules will be what led to his success, because all you need to do is bring your opponent down to the mat and pin them. 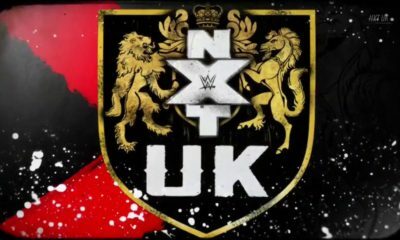 Will Gulak keep his promise to the WWE Universe and himself here tonight? 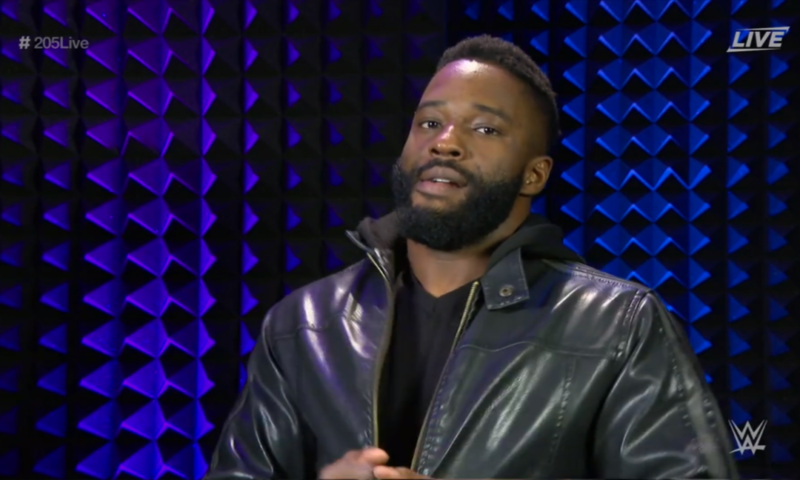 “Last week was the greatest moment of my entire career.” Alexander has “gone through Hell and back” to get this close to the Cruiserweight Championship. It still hasn’t sunk in that he’ll be competing in front of 70,000. But the journey isn’t over. He’s accomplished one dream: compete at Wrestlemania. But that dream won’t mean a thing if he doesn’t win at Wrestlemania. Can Alexander finally grab hold of the Cruiserweight Championship after fighting for so long? 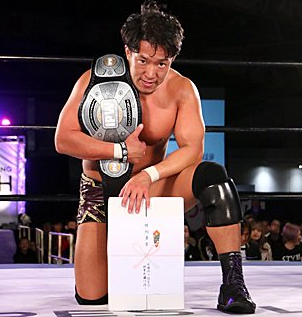 The “Cruiser-Great” won the Cruiserweight Classic tournament to become the inaugural (New Era) champion, but he faces a returning face from that tournament in #WeazyWoo. Johnson promised the WWE Universe he’d be back one day, and that day has come. Can Johnson use his return to win this time? Or will the FilAm Flash send him home with another loss? For that matter, TJP doesn’t care that he was eliminated from the current tournament, nor does he care who wins at Wrestlemania. TJP just cares about who gets the next title shot after that, and promises the CWC winner will be that next contender. 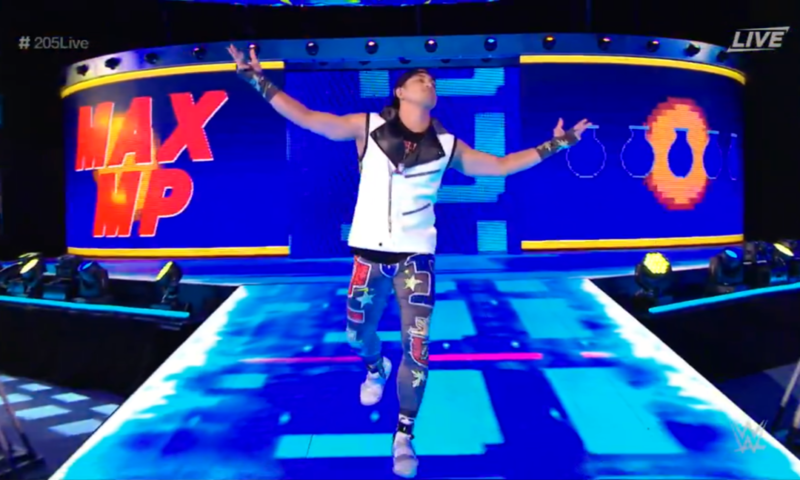 Will TJP keep his winning ways? Or end up losing and exploding like he has in the past? The bell rings, the two circle and tie up. TJP gets a waistlock and slam, then floats on Johnson back to a waistlock. They stand up again, but TJP spins and trips Johnson to pick the leg. TJP cartwheels to the headlock, but Johnson powers out, only for TJP to run him over. TJP drives an elbow into Johnson, then whips, and hits a leaping back elbow to knock Johnson down again. Johnson gets to a corner but TJP catches the boot to give a stiff European Uppercut. 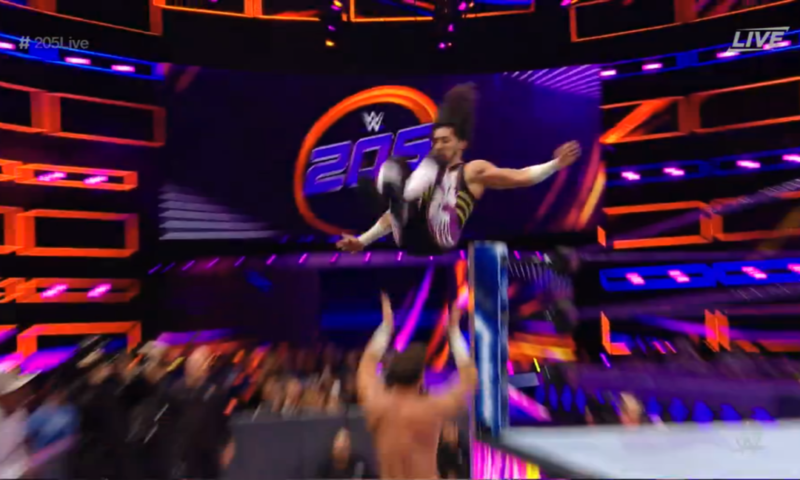 TJP snap suplexes Johnson, slips around and–after an extra pump–hits the saido suplex. Johnson is down, so TJP hits him with the slingshot senton. TJP embraces the heat while dabbing, but catches another boot. He wags his finger, but Johnson catches him with the other boot. Johnson evades, runs, and hits a unique senton body check! Cover, ONE, but Johnson keeps on TJP with strikes. Johnson runs again, but TJP dropkicks the legs out. TJP gets mad now as he kicks and shinbreaks one leg, into the dragon screw. 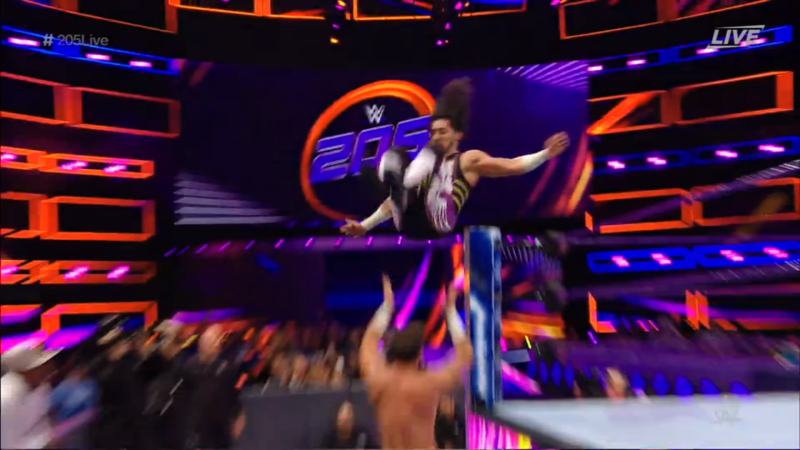 TJP rocks Johnson with a roundhouse, then lifts him up for the Detonation Kick! Johnson goes down, but TJP isn’t done there. He puts Johnson in the Kneebar! 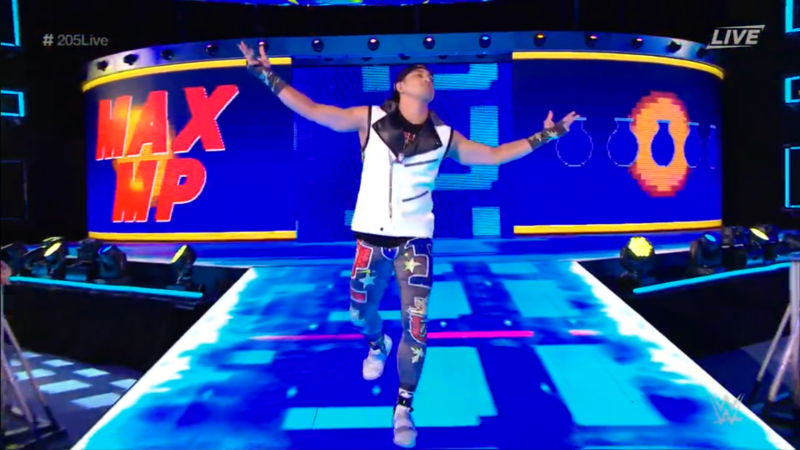 Johnson taps, TJP wins! TJP holds on longer to torture Johnson, but does let go, to dab on ’em. The Cruiser-Great won after all, can he earn himself a post-Mania title match with this? 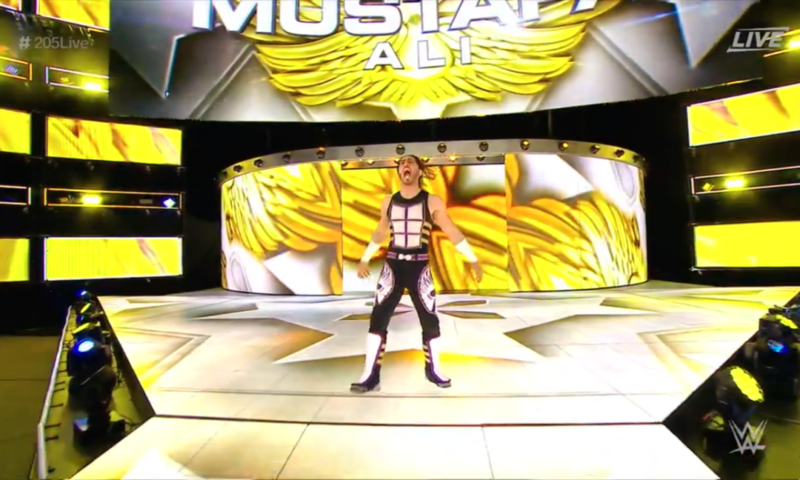 WWE and 205 Live take a look at Mustafa Ali. The Pakistani Prince from Chicago, once a police officer, believes “the biggest thing that separates me from all the other guys in the Cruiserweight Division” is his heart. His work as a cop was prompted by wanting to be more than an activist but someone who actually acts on change. The tournament means a lot to Ali, for more than one reason. 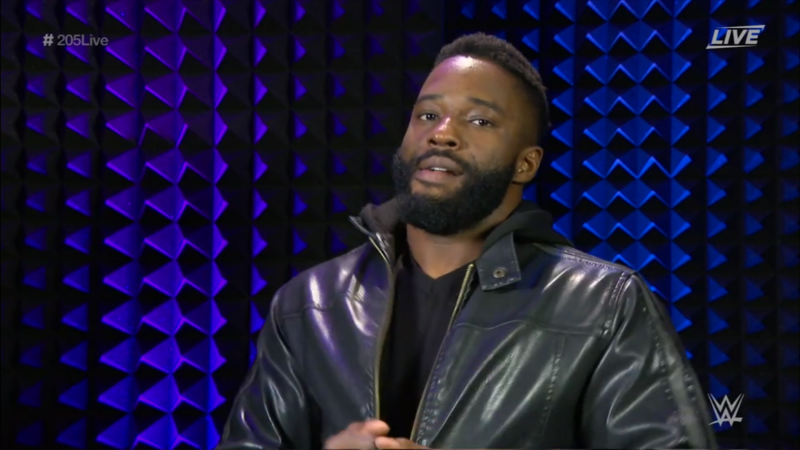 Yes, he wants to win the Cruiserweight Championship at Wrestlemania, but Ali wants to use that moment to “fix things.” Winning is important, but so is changing minds. 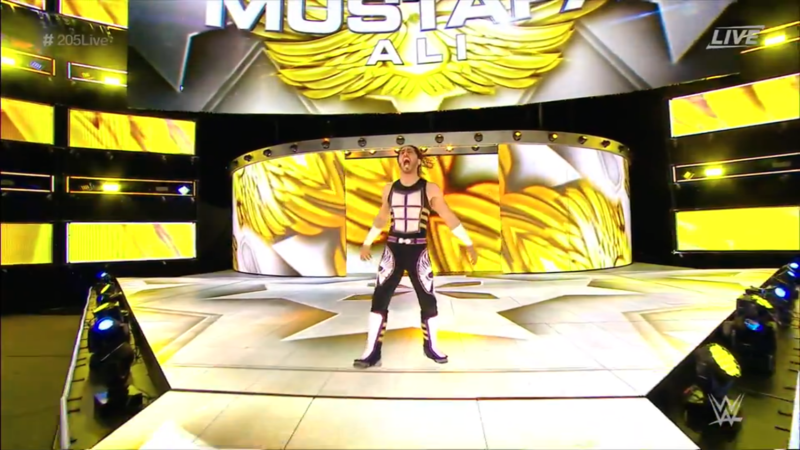 People see “Mustafa Ali”, they might think to boo that name just on virtue of the name. But seeing Mustafa Ali fighting with all his heart, that will open people’s eyes. The only thing left is to see if he will do that on the Grandest Stage of Them All. 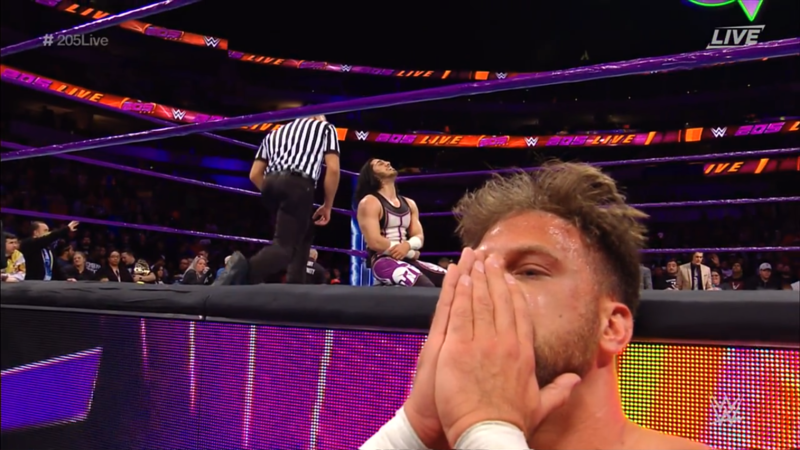 As 205 Live General Manager, what is his reaction to the ending of Lince VS Itami match? He’s livid! He put on a great match and the superstars lost their heads to ruin it. They need to keep heads. Luckily Tozawa and Kalisto kept the peace, and that will be rewarded. This is the end of the Cruiserweight Championship tournament, there will be one last match at Wrestlemania to crown the new champion. Which means that new champion will need new challengers. 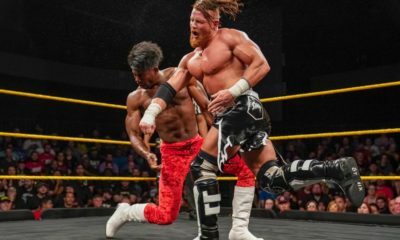 Maverick decides that next week will have Akira Tozawa, Kalisto, TJP, and because he impressed in the tournament, NXT’s Buddy Murphy! It will be a Fatal 4 Way #1 Contender’s match. Maverick is proud how he turned a positive into a negative. In a star-studded match like that, who will come out on top as the next challenger to the next champion? 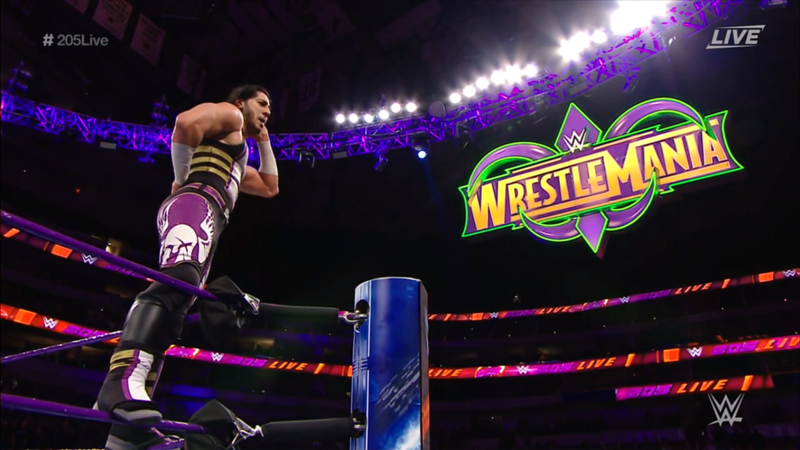 WWE Cruiserweight Championship Tournament Semifinal Match: Mustafa Ali VS Drew Gulak! Either the #Drewtopian gritty ground game, or Ali’s aerial athletics. Only one will conquer the other in this rivalry rematch and challenge Cedric Alexander at Wrestlemania, simple as that. The bell rings and the two familiar foes lock eyes. Fans rally already for Ali as he circles with Gulak. The two tie up, Ali powers Gulak back but Gulak turns it around. Gulak puts Ali in a corner but Ali powers out to the center. Gulak turns things into a wristlock, then brings Ali down to the ground. Ali gets back up, and we see Alexander watching while Gulak brings Ali back down. Ali rolls up to his feet then rolls and spins to reverse the hold onto Gulak. Gulak is brought to the mat now, but he gets up and spins. Ali brings him down in an armlock, but Gulak gets up again to scoop slam, only for Ali to hold on and bring things back to his control. Gulak stands up and powers Ali to a corner, but gives a stiff shove at the break. Ali shoves back, but Gulak gets the headlock back on. Ali powers out but Gulak runs him over, to then keep moving. Things speed up, Ali cartwheels and collides with Gulak. Neither man backs down, and Gulak wags his finger at Ali. Ali puts on the headlock now, but Gulak powers out to flapjack Ali down! He then stretches Ali back with a chinlock. The fans rally for Ali and he stands up to fight out. Gulak knees Ali’s ribs, then whips him to ropes. Ali evades, then headscissors to throw Gulak! Ali keeps going, turning a flapjack into a dropkick. He goes after Gulak in the corner but the referee calls for the break. Ali honors it for a moment, then tries to grab Gulak at the ropes, but Gulak elbows him in the head! Gulak watches Ali reel back, to then clobber him with a clothesline to the back of the head! Cover, TWO, but Gulak knows he’s in control. He drags Ali up and whips him to a corner, but Ali elbows him away. Ali runs, slips out of the scoop, then rolls Gulak up, TWO. 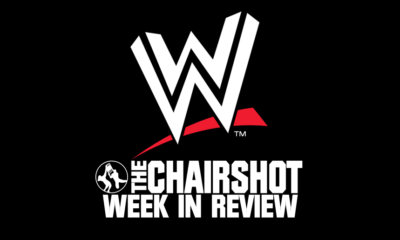 Ali hops up, hops back onto Gulak’s shoulders, and Gulak spins around into an Electric Chair Drop! He bridges to the cover, TWO! Gulak keeps his cool, and even grins as he looms over Ali. The fans rally for Ali while Gulak kicks him on the mat and at the ropes. Gulak stomps and stomps and stomps, even as the referee backs him off. The ref checks on Ali but fans duel, some even chanting “PowerPoint! PowerPoint!” Gulak drags Ali up by his jaw, but Ali open hand strikes! Ali strikes again and again and again, Gulak shoves, but his boot is countered into a heel kick! Ali starts to rally on the groggy Gulak, takedown to furious right hands. The referee backs Ali off but the fans keep cheering. Gulak stands, Ali slips out and roundhouses him away, to then fire up and slingshot in for the facebuster! Cover, TWO! Ali keeps his cool as he grimaces at Gulak. He toys with Gulak, paying him back with a stiff kick to the ribs. Ali kicks and stomps Gulak in return for all those other stomps, and almost stomps Gulak right out of the ring. He backs off to calm down, then brings Gulak up, only for Gulak to send him face first into buckles! Gulak drags Ali up now, dragon sleeper! Ali flails and reaches, and uses knees to Gulak’s head to break free, only for Gulak to run him over with a discus lariat! Gulak foams at the mouth and roars as he drags Ali up again for another clothesline. He does it again, then rolls to a cover. TWO, and Ali gets Gulak in a Koji Clutch! Ali uses a submission on Gulak! Fans chant “TAP! TAP!” but Gulak rolls it to a cover. ONE, and Ali holds on to the hold. Gulak works his way to ropes, and gets the ropebreak with a foot under the ropes. Ali lets go and Gulak gets away to catch his breath. Fans boo and jeer while Ali climbs up top. Ali takes aim with a menacing glare, and jumps for a somersault senton! Down goes Gulak! Ali hurries on him with furious rights, then drags him into the ring. The fans rally for Ali while he climbs back up. Ali takes aim but Gulak not only sweeps Ali’s legs out, but sends him crashing down to the ground! The referee checks on Ail after that landing while Gulak rests in the ring. A ring count begins, and reaches 5 before Ali stirs. Ali drags himself up to the apron, so Gulak attacks to send him back down. Gulak goes out and drags Ali up to throw him right into barriers. He puts Ali back in the ring, but Ali slips back out. Gulak won’t wait for the count this time, he slips out and runs at Ali, only for Ali to side step and send him tumbling over the announce desk! Gulak crash lands near the time keeper’s area, and Ali sees him stirring. Ali adds on with a FLYING LEAP onto Gulak! The furious Ali rains fast hands on Gulak, then backs off to return to the ring. However, Ali changes his mind, he wants to finish Gulak once and for all. He clears the announce desk, drags Gulak up and over, but Gulak fights back. 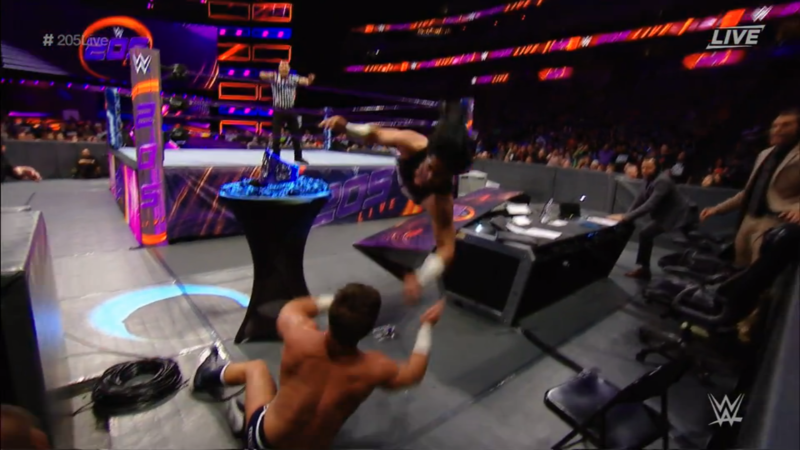 The two waver, but then Gulak back body drops Ali off the table to the floor! Ali writhes while Gulak rests on the desk, both too sore to get to the ring. The referee checks on them and decides they’re okay to continue, so he starts a count. Gulak returns before 4, but Ali is a different matter. The fans rally for him, but Ali doesn’t stir until 6. Gulak won’t let it end there, he slings Ali into the post! Gulak is savage as he brings Ali up again, to dump into the time keeper’s area! He returns to the ring to let Ali be prey to the ring count. Ali barely stirs before 4, and has so much ground to cover. Ali crawls but the count is already at 7. He stumbles and staggers, but beats it at 9 and a half! The fans are divided, some chant for Ali while others protest, “That was 10! That was 10!” Gulak drags Ali up to bring him into the dragon sleeper. Ali grabs ropes for the break but Gulak won’t let go. He powers Ali up and around, but Ali tornado DDTs instead! Ali somehow gets up the ropes and to the top, and hits the 0-5-4!! Cover, ALI WINS!! Ali fought for his dream and now he gets to live it! Meanwhile, Gulak is beside himself with this defeat. In-ring interview with Mustafa Ali. Though he can barely stand, congratulations are in order. 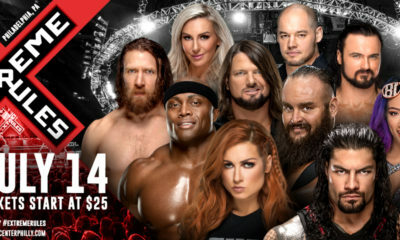 How does it feel to be going to Wrestlemania? Ali says that he’s not going to Wrestlemania, we are going. His entire life had one mission: “to prove it doesn’t matter what your name is, it doesn’t matter where you’re from, it doesn’t matter what the color of your skin is, all that matters is what’s in your heart!” The fans cheer for that. Dreams are prepared to collide on the Grandest Stage of Them All, who will walk away the new Cruiserweight Champion? Another incredible episode right here. 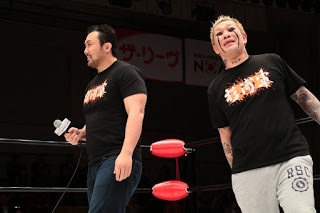 Good stuff with Itami VS Lince with their teammates ringside. 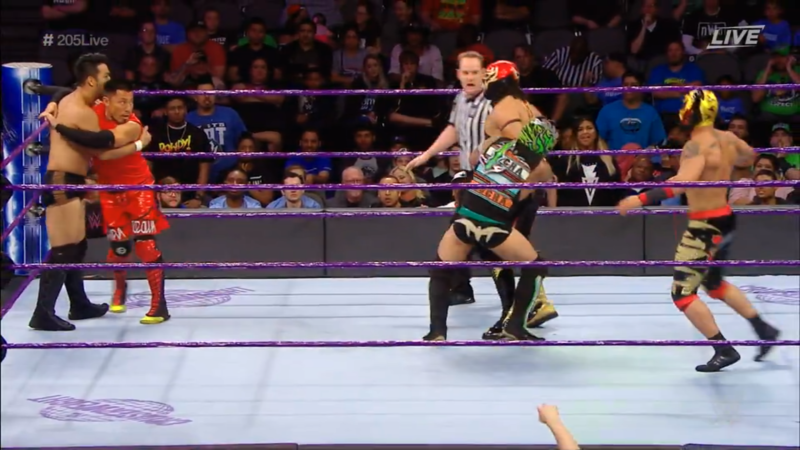 Didn’t expect it to be “no contest” with the shoving between Itami and Metalik, but that seems to be the best for keeping both sides strong in the still-forming Cruiserweight Tag Team Division. This very well could be the story that brings us to the creation of that division and titles. But until then, I do like Rockstar Spud still using Tozawa and Kalisto as singles competitors. Their match with TJP and Buddy Murphy is going to be great. TJP more or less squashes the returning Kenneth Johnson. Maybe Johnson will return again much sooner to at least give more to the roster, the tournament already showed off everyone there is in the Division. And of course, everything relating to the tournament was great. The video packages did great to capture what both Gulak and Ali have done and been about since 205 Live started. Then the match took that and went even higher to give amazing action and story telling. Gulak kept up the new level of brutality while Ali even showed his. It’s great to see how Ali has grown and adapted after matches with Gulak in the past, as well as Jack Gallagher during the tournament. 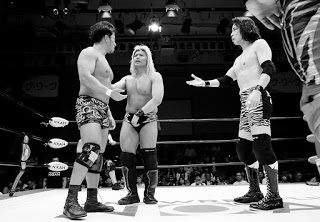 The dragon sleeper to DDT was a great spot given all it probably took from both guys to make it work. Ali going over is perfect given his story, and now it’s a battle of friends at Wrestlemania. In fact, this match represents the year of progress the Cruiserweight Division has made, and it could easily steal the show.